Which Hawaiian recording artist released the album KAUNALOA? Well done, gang! Right on! The correct answer is A. KUANA TORRES KAHELE. And this week’s winner, chosen randomly from all of the correct answers, is… (Drum roll, please…) SARO VANASUP! Congrats, Saro! You’re this week’s Trivia Superstar! Mahalo to all of you for taking part in this week’s Aloha Friday Trivia Challenge. I hope you’ll play again next week, too! According to the book HE MELE ALOHA, the song’s inspiration was found in a traditional Māori farewell song. There is a portion of a verse on this recording that is not in English, but because of a scratch on my disc, I wasn’t able to hear it clearly. Was this the original text? Or translated into Hawaiian? I’ll have to try to find another copy so that I can hear it. I am so thankful we have recordings from this era. I could listen to ‘em all day! *Please click HERE to read more about Andy Iona. Ah! Aunty Teresa! And a great song! I love her voice–smooth, sultry. And her arrangements always make me smile. Makes me feel like I’m in a club–having a great time! This song, attributed Lot Keauwē, has been covered by a multitude of artists. But this week, it’s Teresa Bright’s smooth (and delightfully percussive) version that has won my heart. A much-loved “classic” by Uncle Willie. Simple. Soothing. Fantastically “catchy” without being “cutesy.” All of the earmarks of one of my favorite songs. He makes it all sound so easy. A truly gifted musician–music pours out of him. *Please click HERE to visit Willie’s website. I love this song. And I’m grateful for the trip down Memory Lane that it inspired. Please click HERE to visit Ozzie’s website. 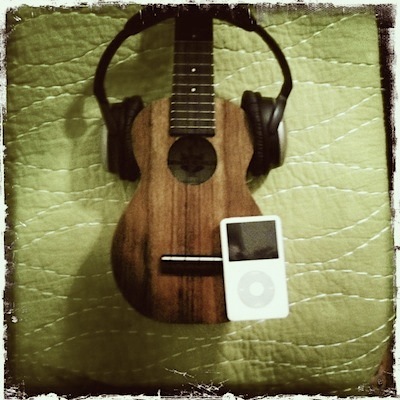 Vintage Hawaiian music rocks my little piece of the world. Listening to those voices from the past (both distant and not-so distant) is so rewarding! I learn something every time. Something from every song and every singer. One of the recordings that’s captured my ear and my heart this week is WAHINE UʻI as sung by Linda Dela Cruz. (Note: this is the version attributed to James Kahele.) I love the control she has in her voice. Butterscotch-rich low notes. A flawless haʻi or break in the female voice–like falsetto. She almost cries some of the notes–reminding me of the Patsy Cline classic, I FALL TO PIECES. I could listen to her all day. And learn something new every time. *Sadly, Aunty Linda passed away in 2007. But you can click HERE to learn more about her life via her obituary. Riding on the subway, I listen to a lot of music. This song started playing and I wasn’t giving it my full attention. (Note: Riding the subway in NYC is always an interesting experience–filled with all sorts of interesting people, sounds, smells, etc. It’s not difficult to have one’s attention be pulled in a million directions at once.) Then I heard the word MAHALO. And then I heard it, again. And again. And again. So I restarted the song and gave it my full attention. I love this song because of of its sentiment. What an awesome way to close an album–offering up MAHALO, thanks, for everyone and everything in his life. So awesome! And it’s just like how Pops lives his life in Hālawa Valley on Molokai–always offering up MAHALO for everything. A state of gratitude. I hope to be able to do that. If ALOHA is the word one hears most while in Hawaiʻi, I promise you that MAHALO is a close second. And, of course, I’d be a fool not to mention how much I LOVE Kamakakēhau’s voice! Auē! This man can S.I.N.G! Holy wow! And listening to how pronounces Hawaiian–that, alone is sweet music. Do you have this album in your collection already? It’s essential. Trust me. *Please click HERE to visit Kamakakēhau’s MySpace page. What do you get when you translate a well-known hapa haole classic into Hawaiian and then mix it with a hot and sultry jazz arrangement? You get Amy & Willie K’s smooth and bluesy BEYOND THE REEF. This one took me by complete surprise the first time I heard it. I didn’t expect it. But the whole album took me by surprise! They reinterpreted some Hawaiian and hapa haole classics in ways I never dreamed of… And I’m so glad they did! When I hear the title BEYOND THE REEF, the dreamy crooner-classic version recorded by Alfred Aholo Apaka comes to mind. So I was blown away by this number that could be “at home” in the heart of a blues or jazz club. With Amy’s killer vocals and Willie’s killer instrumentals–well–it’s a killer track! I hope you’ll open your mind and your ears and give it a listen. *Please click HERE to visit Amy’s website. *Please click HERE to visit Willie K’s website. Homesick for my family this week, I fell in love with this song, again. Written by Damon Williams and a Hawaiian translation by Charles Kaʻupu, the song feels like it was written by my own heart. And Kealʻii Reichel is THE VOICE to sing it. So sensitive. So perfect. Nothing else to say. Simple. Perfect. Yup. *Please click HERE to visit Kealiʻi’s website. I love this classic instrumental track from Pure Heart’s debut album. Pure Heart was awesome! A band made up of Jon Yamasato, Lopaka Colon and Jake Shimabukuro. These young guys rocked! I think I played this CD so many times that it overheated in my CD player. Ha! This track features each of them in a special way–Jake really shines on the ukulele (as usual!) Lopaka’s Latin-infused percussion rocks! (Are those bongos he’s playing?!) And Jon is jamming on the guitar. A great mix, for sure! I remember listening to this track and having images of guys putting surfboards into a van and heading to the beach. Does the song have anything to do with that? Who knows… but that’s the image that I got. And it’s an image that always made me smile. I love the group Pure Heart. And I love that it makes me feel younger when I listen to ‘em. Mahalo for that, guys. Tags: Alfred Aholo Apaka, Amy Hanaialii, Beyond the Reef, Hawaii's Canary, Kamakakehau Fernandez, Kealaokamaile, Kealii Reichel, Linda Dela Cruz, Mele Ohana, Nostalgia, Olinda Road, Pure Heart, Wahi Mahalo, Wahine U'i, Willie K.
The golden voice of Hawaiian crooner Alfred Aholo Apaka never disappoints me. And this song, sung as a beautifully touching duet with Diana Moncado, is–well–it knocks my socks off. Amazing. Amazing. Amazing. Such control. Some say it’s not the original Hawaiian Song. And that leads us to the next selection. Aunty Genoa sings this duet with her son, the amazing baritone crooner, Gary Aiko. Wow. Amazing voices singing an amazing song. This piece, written by the incomparable Charles E. King, has some of the most beautiful lyrics I’ve ever read. Are you looking for an amazing hula tune with some of the smoothest vocals (and falsetto!) you’ll ever hear? Well, this is your song! It’s no secret that I’m a huge fan of the voice (and ʻukulele stylings) of Mr. Ata Damasco. So smooth. So seemingly effortless. I wanna sing like him someday! *Please click HERE to read more about Ata Damasco on his page on the Ululoa website. I love the sweet sounds of The Hula Honeys! And this song, penned by Robyn Kneubuhl, is so dreamy! I mean it… Heavenly. Ethereal. According to the album’s liner notes, she wrote the song about the Pakalana flower as it reminds her of her grandmother. If you close your eyes, I think you’ll be able to see a hula being danced to it. Sounds that remind of us of “yesteryear” being sung today by a duo of amazing musicians like Robin Kneubuhl and Ginger Johnson. Yes, please. *Please click HERE to visit The Hula Honeys’ website. One of my favorite composers/performers is Uncle Dennis. And he’s such a great mentor for all things Hawaiian. A true source! In this recording, he shares the song based on an chant that honors King David Kalākaua. The recording is like a jam session–including Uncle Dennis’ amazing slack key guitar skills, David Kamakahi’s sparkling ʻukulele stylings and Uncle Dennis’ golden baritone voice. Wow… imagine what it would have been like to be a fly on the wall in that recording studio when they recorded it! *Please click HERE to visit Uncle Dennis’ website. This is a song that I only recently became reacquainted with. I’d been asked about Hawaiian flowers and I searched thru my stack of CDs to see what songs mentioned different types/kinds. Imagine how excited I was when I came across this one! 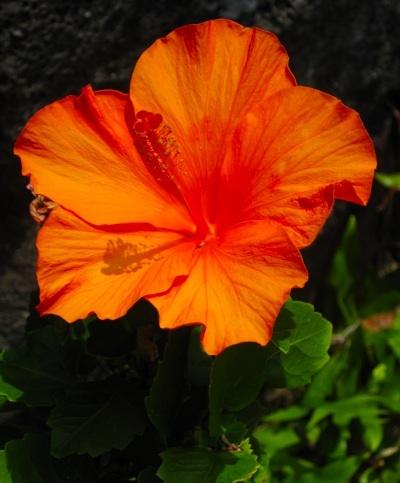 I think it would be perfect to do in a show–sharing Hawaiian botany via song. That’s pretty cool. When I think of the hula classics, my mind automatically jumps to the one and only Aunty Genoa Keawe. She set the standard for so many songs! Her recordings are an encyclopedia of hula music. And we don’t hear enough music from/about the island of Lānaʻi. I was just talking about that the other day with a friend of mine. So I decided I need to learn this song and sing it often! Hawaii’s rebel kumu hula and rebel chanter. I love this recording. I love the fact that he’s playing with “the classics.” Exploring them. Showing how vital these chants still are today–and helping to introduce a new audience to the amazing poetry. Yes. I know there are people that don’t approve of what he’s doing. And there are others that celebrate it. I’m glad to have this recording. *Please click HERE to read more about Kumu Mark Kealiʻi Hoʻomalu. You guys know how much I love a good ’70′s vibe. And if you read my Weekly “TOP 5″ lists, you know I’m a huge fan of the group Kaʻau Crater Boys. They had the ability to cover a super-familiar song and make it sound like it was new–and like Kaʻau Crater Boys original. Amazing musicians who were able to infuse true island flavor into all of their stuff. Originally released in the late 1970s by the group Orleans, I love what the Kaʻau Crater Boys did with it. *Please click HERE to visit Ernie Cruz Jr’s myspace page. *Please click HERE to visit Troy Fernandez’s website. I love John Keawe and his special music. And this song, in which he sings about the beauty of my beloved Molokai, really touches my heart. Makes me homesick. It was on Molokai that I first met John and his beautiful wife, Hope. Special days in a special place. *Please click HERE to visit John’s website. It’s no secret: I love the voice the golden voice of the legendary crooner, Alfred Aholo Apaka. He has a way of delivering a song that can make me stop in my tracks and just listen. How amazing is that?! This song, attributed to Aunty Irmgard Farden Aluli, is a classic. And this recording, which opens with the sound of a harp(!) is a classic, too. Beautiful orchestration. Beautiful background vocals that take part in a kind of call and response, both in English and Hawaiian. And of, course, the voice of Alfred Apaka. I dare you listen to this song without a breaking a smile! The incredible Troy Fernandez and his ʻukulele stylings open the track with a bouncy beat, guaranteed to make you tap your feet. And this song, written by Abbey Kong, is a smile-inducing three minute ride of fun. *Please click HERE to visit Sistah Robi’s website. I have been LOVING this song this week. It’s a classic song written by the legendary Kai Davis. The song celebrates the beauty of the district of Kīhei on the island of Maui. When you listen to it, I’ll bet you can imagine a great hula being danced to illustrate the lyrics. And when Mark Yamanaka brings his smooth and effortless falsetto to the song, it ROCKS! (At least he makes it sound effortless!) His sound excites me–it makes me want to listen more. Im sure Im just one of his legion of fans–this guy can SING!! Uihā! *Please click HERE to visit Mark’s page at Reverbnation. When I heard this song, I got choked up. I’ll be the first to admit that my Hawaiian language skills are rudimentary. But you don’t need to be able to speak Hawaiian in order to understand the sentiment. *Please click HERE to visit Kūpaoa’s website. When you want the sound of old Hawaiʻi–you know… the kind of music that could be played at a backyard paʻina (party)or a kanikapila (Hawaiian-style jam session)–where do you go? The Sons of Hawaiʻi! This song, written (and sung, too!) by Dennis Kamakahi is like a fest for my hungry ears. Maybe it’s because I’m getting ready to head back to the islands and I’m getting excited. But I was really looking for something to give me what I was looking for. And this song did it. Right on! *Please click HERE to visit the Sons of Hawaiʻi’s website.